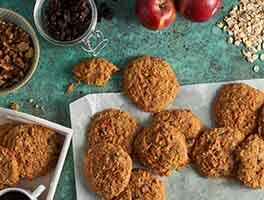 Easy to put together and full of wholesome, protein-packed ingredients, these cookies can become your secret lunch box weapon. In a large bowl, mix together the shortening, peanut butter, brown sugar, egg, water, honey, and vanilla until smooth. In a separate bowl, whisk together the quinoa flour, baking soda, and salt. Add to the peanut butter mixture and stir until smooth. Stir in the bittersweet chocolate. Scoop the dough by the tablespoonful onto the prepared baking sheets, flattening the balls slightly with your fingers. 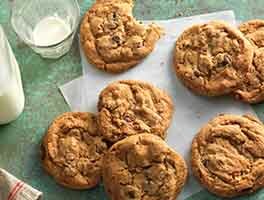 Bake the cookies for 11 to 13 minutes. Remove them from the oven and cool completely on the pan; they’re very fragile while still warm. 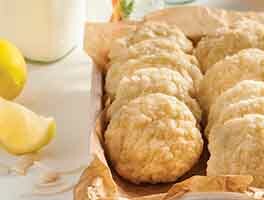 Store cookies, well wrapped, at room temperature for several days; freeze for longer storage. Wonderful!!! 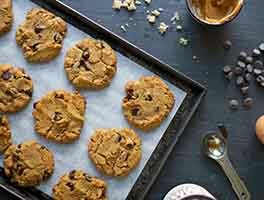 A true peanut butter cookie Delicious warm right out of the oven. Healthy too. I used less sugar. Does not need more tha 1/2 cup for our taste. 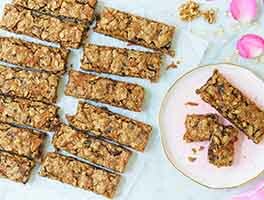 Would love to see more quinoa recipes. Thanks! I baked these for someone who does not eat gluten and they were delicious. We make our own peanut butter with 16 oz. of roasted peanuts and 1 TBLSP of oil - no salt or sugar added to the peanut butter. That probably helped the cookies not be too sweet. Since a bag of Ghiradelli 65% cacao chips are 10 oz., I used 5 oz. of chocolate chips. I made them a second time and they turned out great again. King Arthur Flour recipes have never let me down! 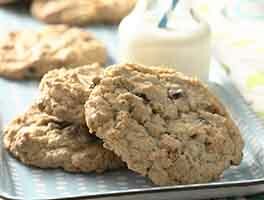 As written, the cookies were a bit too sweet for our taste and turned out very crumbly. When I made it a second time I replaced 1/4c of quinoa flour with protein powder, and substituted half of the peanut butter for natural almond butter. The dough was still quite oily but the end product did not crumble as much. These look great. I assume they are gluten free? I have never baked anything gluten free before and, to be honest, I was skeptical as to how these would turn out. But I was intrigued by the quinoa flour and decided to try this recipe. So glad that I did, these are absolutely delicious! Great texture, and lots of peanutty taste.